From the moment that those faint lines appear on your pregnancy test, the worrying begins. Will I make it to 12 weeks? Will the baby be ok? Questioning every twinge, gripe and pain just in case something is not quite right with your pregnancy. For many women, thankfully, these worries are unfounded, but for many others the joy of the positive pregnancy test is shortlived and overshadowed by the devastating loss of a baby. Whether the loss is at 6 weeks, 12 weeks, 2o weeks or at birth, the devastation is something that many people don’t understand, which is why raising awareness of the everlasting impact experienced when a precious baby dies during pregnancy, at birth or shortly afterwards is so very important. 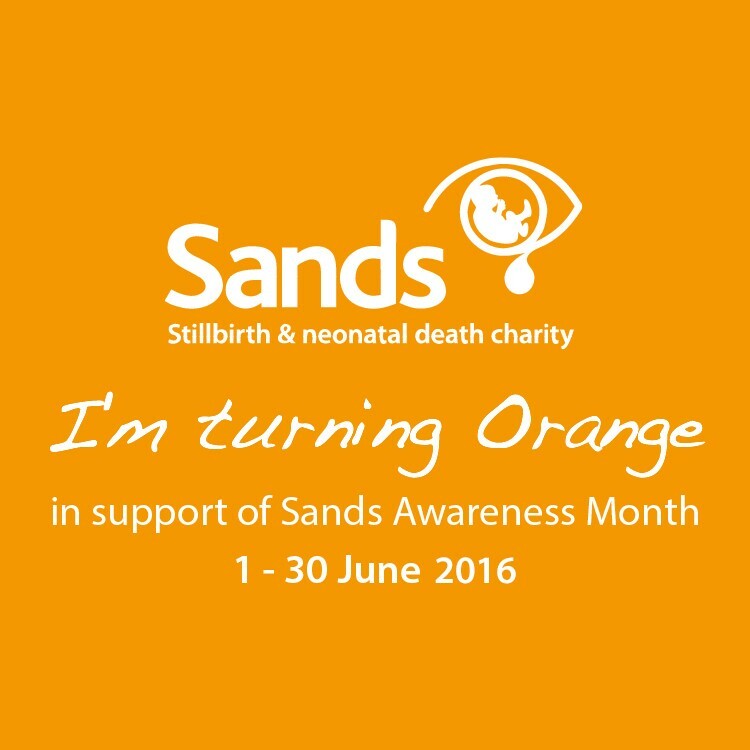 This month, stillbirth and neonatal death charity, Sands aims to do just that with their Awareness Month. Giving everyone a chance to get involved, to make people listen; to highlight the fact that over 100 babies will die each week during the month of June and to raise vital funds so that Sands can continue to support, research, and improve. There are a wide range of events taking place, from their Walk a Mile in My Shoes event, as well as continuing with the Sands orange themed events including our Orange Fridays and Orange Challenge Events, Trek The Beacons (25km, 50km, 75km or 100km distances) on 4-5th June in the Brecon Beacons and Bake4Sands. Sands’ Walk a Mile in My Shoes walk is a very special walk, and a unique way to raise vital funds and awareness for Sands this June. Whether individually, or with a group of family, friends or colleagues, by organising and taking part in a Walk a Mile in My Shoes event, the money you raise will help Sands to continue to meet the growing need for our bereavement support services, improve bereavement care throughout the UK; and fund research that could help to reduce the loss of babies’ lives. You can Download the Walk a Mile in My Shoes pack here. Register with the Fundraising Team for a Bake4Sands pack and you can continue an orange theme right the way through to your cake sale by baking carrot cake or chocolate orange crispy cakes! Charge £2 to wear orange for the day in your office, school or nursery. Why not have a prize for the best dressed or most inspirational use of orange! Get friends and family to sponsor you to sit in a bath of baked beans or orange juice! Wear something orange every day during June. Or why not invite friends round for an ‘orange’ inspired dinner that could use foods like apricots, butternut squash, carrots, clementines, oranges, pumpkin, smoked salmon, sweet potatoes or orange sorbet. Inspire friends to join in by sharing your orange selfie and asking them to do the same. 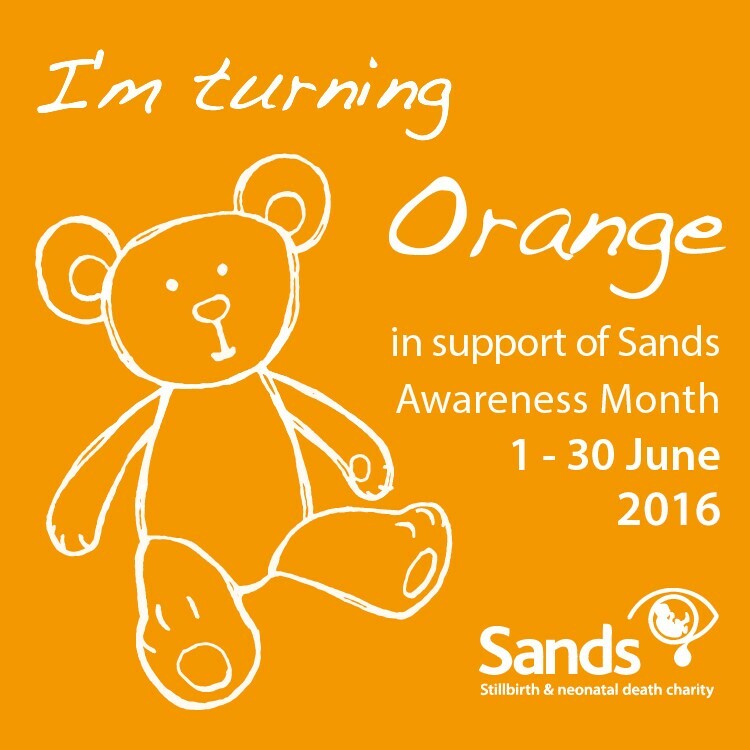 Update your Facebook or Twitter profile pictures and Facebook cover photo with Sands orange for the duration of June to raise awareness. Ask your friends and followers to do the same and help to Turn the internet orange! Other events happening during Awareness Month include the Great East Swim and the Edinburgh Night Cycle. Interested in taking part in one of these events – or looking for OTHER fun ways to raise funds and awareness for Sands this June? You can contact the Sands Fundraising Team here: t: 0845 652 0448 e: fundraising@uk-sands.org. Planning a party for your little Easter bunnies! Do you know your Bonfire Night first aid? Know Your Numbers – blood pressure!